Turn your activity data into easy to understand analytics. Chameleon-i has fully integrated with our partner cube19 to enable you to turn your activity data into easy to understand analytics. For clients looking to motivate and manage their consultants at the next level, cube19 takes your Chameleon-i data and turns it into easy to understand visual analytics that will transform the way you run your business. Their cloud-based technology, like ours, is available on any connected device meaning you and your employees can make fact-based decisions wherever and whenever you need to. By giving every employee access to relevant information, you create a data-driven environment your recruiters trust and encourages them to use your CRM Chameleon-i more frequently and more effectively. Remember money isn’t the only reason why recruiters do what they do. The truth is people want the recognition of being a top performer just as much as the commission. cube19′s award-winning gamification screens have a huge impact on sales productivity by elevating individual reputations and keeping targets front of mind. No one misses the old white board when you replace them with beautifully designed real-time displays. 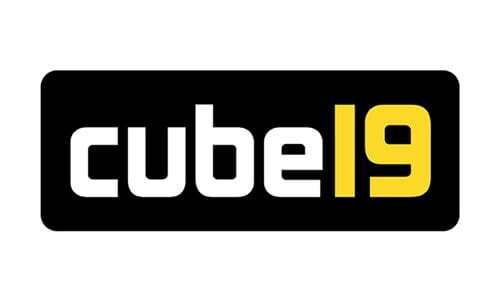 For more information about cube19 please feel free to contact us on +44 (0)1483 600370.